snoop around. She had one shelf of books and I remember sitting on her floor looking at them. 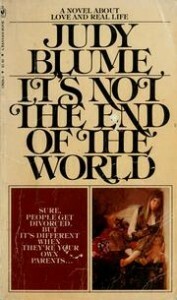 I pulled out a tattered copy of Judy Blume’s It’s Not the End of the World, read the back cover and decided to give it a try. I went back into my room and I don’t know if I read it in one sitting, but I know I read it pretty quickly and the whole thing. I had never read a book that sounded like a friend of mine. I was hooked. 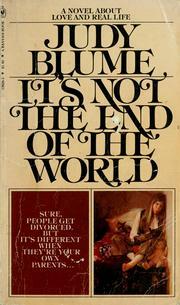 I soon devoured all of Judy Blume’s YA titles, discovered S.E. Hinton (The Outsiders is still my favorite book of all time) and moved onto Norma Klein and Paula Danziger. That was obviously a long time ago, but I found as I graduated from high school and moved onto college and adulthood, I still was drawn to the same kind of books. In the 90s, YA wasn’t really a “thing” in the way it is now, and a lot of novels were categorized general fiction that would be seen as crossovers today. In fact, my favorite novel of the 90s, Blake Nelson’s Girl was first serialized in “Sassy Magazine” published and sold in the adult section of the book store and then reprinted ten years later as a YA novel. In the 90s I started reading novels about 20 somethings (which I was one) and Gen X, but I also spend a couple of years working in the Children’s Dept of a large bookstore (hint, not the one which just filed for bankruptcy), so I read all the YA books I could during my downtime. A that point, I tried to hide my addiction, embarrassed that I was reading novels meant for teenagers when I most definitely wasn’t. Then I made a fantastic discovery. There was a whole world of academia surrounding Children’s Literature. I did some research and discovered Simmons College in Boston offered an MFA in Writing for Children. I applied, was accepted and my life became all about YA. I recall sitting around the table at orientation making the introductions. The others were talking about the books I loved. The books that I hid in the back of my bookshelf behind Jane Austen because I wanted to look smarter than I am. I found my people and it felt like home. I also like teen TV like Degrassi and Glee, and I may have recently bought seasons 1-4 of Boy Meets World. Basically I’m obsessed with high school and the people in it. I love character driven stories, strong voices and flawed characters. I’m also a sucker for romance. But mostly, I just like when a character feels real to me, like they could exist in the world that they are in. That’s the question, right? I’m twenty-five–so, not old, but old enough to feel a little sheepish about walking into my public library’s designated Teen Zone. I got my B. A. in English. I don’t want to brag or anything, but I read all of Infinite Jest. (I’m not claiming to have understood all of it, mind, but I read it.) So why am I still reading YA books? Why am I going to school in hopes of becoming a YA librarian? Ease. Yes, all right, I said it. I don’t mean to deride YA lit here. But YA books are generally shorter than adult books. They are written, generally, in a clear and straightforward style. This doesn’t mean they don’t deal with complex issues. It just means that you can devote more of your brain power to connecting with the characters and with the story. Nostalgia. I’m not that far out of my teen years myself, but it’s still fun to think back on high school–and be glad that I’m done with it! Characters. More than adult literature, YA literature tends to be character-driven. YAs, we are told, need role models, characters with whom to identify. And adults don’t? 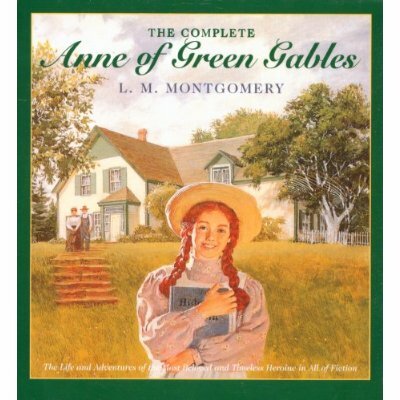 Who among us doesn’t love Anne Shirley, Harry Potter, or Katniss Everdeen? My Ongoing Quest for Self. Some time ago, I read a really great article about why adults like reading YA literature. I cannot for the life of me remember where I read it, and I cannot seem to track it down again. But it left an impression on me. It basically posited that adults like to read YA lit because it provides relatively clear-cut moral instruction in a way that adult books rarely do. The article also highlighted Kurt Vonnegut as an author who does this and used that to explain his popularity among both adults and young adults. That rang true to me. The YA books I like the best are about teens trying to figure out what kind of people they are, and usually these teens talk about it and manage to say something pretty profound about their search. (And if they don’t, maybe the narrator will.) Well, I’m not a teen, but I’m still trying to figure out what kind of person I am. And I don’t go to church, so I just have to rely upon John Green. There’s a quote from his book, Paper Towns, that maybe doesn’t stand up 100% out of context, but when I read it–last year, at age 24–it completely slapped me in the face and made me realize that I was doing the exact same thing in some of my relationships. Thanks, precocious fictional teenager! More concise, perhaps, but both convey the same basic message, am I right? So, in a nutshell, I guess that’s why I still like YA literature. How about you?